UPDATE: A video of this conference can be found here. 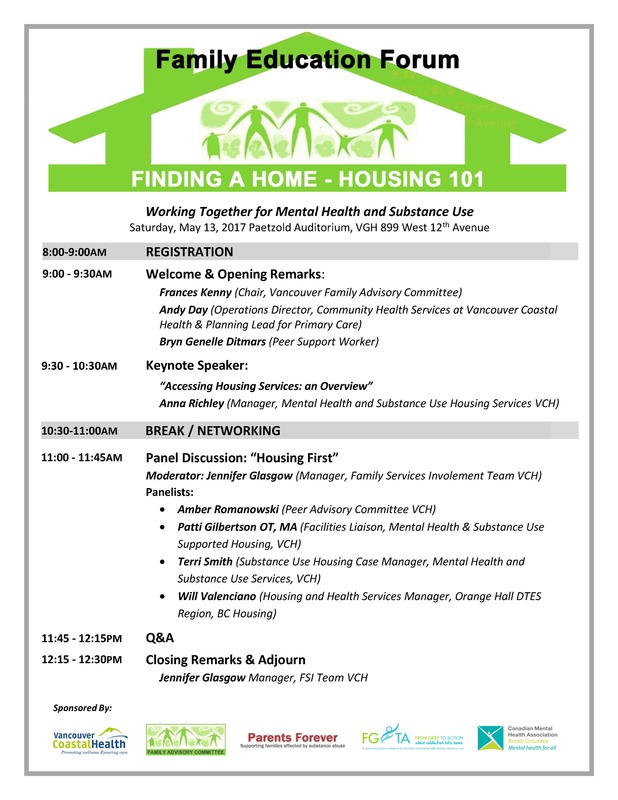 Please join us for a forum on Housing in Mental Health & Addiction! You may be used to our annual family conference. We have decided to experiment with the format and are offering two smaller, half-day conferences this year instead. We are excited to see you at the first forum on May 13, at the usual location – the Paetzold Center at Vancouver General Hospital. Click here for registration.. You can also come on the day of but may risk not getting a seat. Do you have experience with seclusion in a psychiatric setting?